Today is an exciting day for a uniform number nerd like me. The roster of uniform numbers on Brewers.com was finally updated today as we trudge toward the start of Spring Training. My “Brewers By the (Jersey) Numbers” countdown to Opening Day will begin forthwith! First and foremost, I hope everyone had a Happy Thanksgiving! 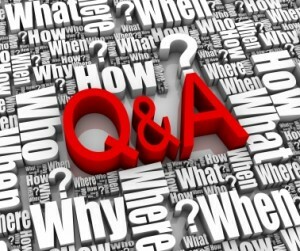 I’m always open to answering questions directly on Twitter, Facebook, or via email. When someone takes the time to seek out my opinion, they deserve a response…even if I don’t know. But, in a way to give thanks to my followers and friends I put out a call for questions so I could answer them here on the blog. This not only will hopefully advertise that I’m always willing to chat Brewers, but it’s also a little tip of the cap to give members of the Brewer Nation some pub too along with giving longer-form responses than Twitter allows. If I don’t answer your question here (or some similar variation of it), I will respond to you via the social media forum you posed it in. And finally, before we get underway, you can follow along on Twitter (@BrewerNation) or Facebook (http://www.facebook.com/BrewerNation) which is where I gathered these questions yesterday. Over the past few seasons, the Brewers have emphasized competing now over planning for the long-term future. Bringing in veteran free agents, trading top prospects for rental pitchers, eschewing development for experience in many cases. This past season was ultimately an exception but more due to circumstance than design. The Brewers were structured to compete in 2013 and it was a long run of unfortunate events that wound up costing them a shot at a wild card berth. Now, all that said, to the question: The Brewers appear like they’re preparing to take one final shot with this core group of big leaguers. They may resign Corey Hart on a one-year deal. They may give Rickie Weeks one more chance to sink or swim in 2014. They’ll give it a go for April, and probably May. If they’re in it, this is their “near future” chance. They don’t have a ready replacement at third base when Aramis Ramirez likely departs after 2014. They are light in impact prospects to fill any position over the next couple of seasons. Should the Brewers fail in 2014 (and even if they play well, they need a lot of other teams to falter), they’re next likeliest window is at least a couple of years down the road. @BrewerNation Would Aoki have more value as a trade chip, or a 4th OF/Lefty bat off the bench? This would be assuming the Brewers would move Ryan Braun to right field and start Khris Davis on a regular basis in left. If that’s the case, Norichika Aoki would be very valuable as a pinch-hitter, especially when you simply need a ball put in play. He is capable of defending at all three defensive positions as well. However, the Brewers already have a much better defender to back up all three spots in Logan Schafer and as a fifth outfielder, Caleb Gindl has shown a little bit of pop. Couple that he’s ultimately expendable with his extremely affordable 2014 contract, and Aoki could fetch the Brewers a decent return despite turning 32 before the season. In my opinion, the better value is in moving him. @BrewerNation Is anyone on the management or coaching side of the organization on the hot seat this year? Melvin, Ash, Roeneke? If there was to be a change during or after the 2014 season (because they would have made changes by now if they were going to before it), it would likely be a second-tier change like a coach or some scouts. It can’t be ignored though that Mark Attanasio inherited Doug Melvin when his group bought the team and the principal owner went directly against the suggestion of his GM when he made the call to sign Kyle Lohse. It didn’t feel all season like it was the beginning of any dissension, but ultimately you never know. @BrewerNation what do you see as a viable first base solution if Hart is not resigned? First of all, I don’t see them not resigning Hart. He wants to be here and I given the injury risk I can’t see someone else giving him a ton of guaranteed money instead of the kind of “modest base salary with a lot of incentives” contract I reported that the Brewers were preparing a couple of weeks ago. If that somehow falls apart though and Hart plays elsewhere in 2014 I think the Brewers would be best served committing to someone capable of handling the position for the entire season. No converting shortstops or relying on the Yuniesky Betancourts of the league. I also think that Hunter Morris would benefit from a bit more time in Nashville before getting the full-time gig in Milwaukee. If the Brewers want to compete though, they can’t afford a offensive black hole like in 2013 or even to platoon the position. @BrewerNation Even though he’s against it, would moving Braun back to 3B make sense to make room for Davis with Ramirez possibly gone? No. If a player is against something like that, especially when those adverse feelings come from experience, it’s likely to be a bad situation. Ryan Braun was terrible defensively at third base, so much so that it almost cost him the 2007 NL Rookie of the Year Award. In 2015, when Ramirez is likely gone, hopefully someone will have stepped up to fill the void at third base, be that Taylor Green or maybe as a bridge to one of the low-level minor leaguers with a high ceiling, or otherwise. @BrewerNation will scooter gennett be the opening day starting second baseman, if so where does rickie weeks end up. In his season-ending press conference, Doug Melvin mentioned specifically that Gennett probably had a leg up in the second baseman’s competition entering 2014. It will be a closely monitored situation all spring training long. So many variables are at work. Gennett played solid defense and hit right-handed pitchers very well, two shortcomings of Weeks’ game at this point. Gennett also couldn’t hit southpaws to save his life, or possibly his job as an everyday option. Then again, Weeks is coming off of a serious leg injury (and successful surgical repair) and his ability to play everyday will be scrutinized as well. A platoon feels like a viable option as we stand today on the last day of November, but Weeks is a veteran who gets out of slumps in the batter’s box. The team could also benefit from Weeks regaining some trade value if they do decide to go with Gennett, which could lead to early at-bats for Weeks. Should Gennett win the outright starting job for one reason or another early enough in camp, expect Weeks to be featured often in Cactus League play in an effort to get him moved elsewhere. The Rays had interest a year ago around this time and the Royals at least were reportedly sniffing around before the trading deadline. There could be options, but it takes two to tango, as they say. @BrewerNation if you were GM, would you deal Braun for lottery tickets? Or try to win now while he’s still in his prime? There’s no way I’d try to trade Braun right now. I wouldn’t be able to get proper return on the value because he’s seen as somewhat of an unknown right now. Teams think he’ll perform when on the field but the question is how healthy he’ll be able to stay. Even if I were going to look to trade Braun at some point in his contract, it couldn’t be until he has a typical 2014 season and I’d be able to ask for and get a package of high-ceiling, can’t-miss, solid-gold prospects. @BrewerNation I would like to see the crew get a lefty starter. Anyone available? Several available, but how good do you want that starter to be? Free agent Chris Narveson is drawing some interest after pitching well in the Caribbean this off-season. He’s certainly familiar with the organization and they with him. But some of the other names available aren’t exactly exciting given their circumstances. You’d be looking at a fifth starter with most of the arms out there and is that worth denying the youth a chance? Doug Melvin is taking things slowly this off-season as he tends to do. Despite a flurry of activity elsewhere in the league, the Brewers are biding their time while they wait for Corey Hart to receive his medical clearance, expected to come on December 3rd. He is their primary target this winter. Should that fall through, the Brewers would have a need at first base and at least some money to spend. I think the latter half of that is likely. The only reason it wouldn’t happen is if Braun is completely uncomfortable and they want to make sure he can focus on his offense in 2014. Whether Aoki gets traded or falls into a platoon of sorts in left field with Khris Davis will depend on how strong the offers are which Melvin will certainly field between now and March 31st. Any competitive athlete wants to be on the field as much as possible but Aoki has proven to be a quality teammate in every respect. He didn’t join the Brewers in 2012 as a starter and if he fell into a platoon or fourth outfielder role to begin 2014, I’m sure he’d continue to play hard to earn his playing time back. Braun is an above average outfielder, one who gives you an advantage offensively as well. There’s no reason to force him to first base at this point of his career. He may well one day be better off there but for now he can run, defend, and still hit well above average as an outfielder. His bat doesn’t profile with as much premium at first base either. Much better off resigning him. He’s the best bat available at first base on the market that doesn’t come with the loss of a draft pick, he’ll come much cheaper for 2014 than they will anyway, they don’t have a ready option in-house, and if he fails they can justifiably move on in 2015. Other Than What Seems To Be A Special “Japanese” Uniform Day Coming The Weekend Of The Aoki Bobblehead, They’re Sticking And Staying With What They’ve Currently Got. The Brewers have only retired five numbers in franchise history, and all of the players for whom they’ve done so are members of the Hall of Fame. They haven’t issued #17 since Jim Gantner last wore it in 1992, true, likely out of respect for what he meant to the franchise. It’s more of a “soft” retirement if anything. Your cap is safe. Braun is not being shopped. Ramirez would be well-served to move to first base if he wants to extend his career much longer, but this doesn’t seem to be the season for it. He’ll rightfully want to enter his what could be his final free agency as a third baseman. Weeks has hard hands, is a small target, isn’t particularly flexible to stretch for balls, and wouldn’t make much of a first baseman…especially if his offensive woes continue. Jones is certainly versatile and would be a welcomed addition to the bench in Milwaukee, in my opinion, at the right price. However, other teams that could use his skills will be able to offer him much more than the Brewers would (or really should). Sean Halton can provide similar defensive coverage and some of the offensive ability for a fraction of Jones’ cost. Taylor Green covers you at even more spots than Halton does and also hits left-handed. Robinson Cano. Short of that, would Hart and O’Flaherty work? So that wraps it up for the first edition of Brewer Nation Q&A. I hope you enjoyed the format and will participate in the future if you didn’t this time. As always, I’m available on social media for questions as I stated earlier. Find the links at the top. Do you have a follow up question or something else you’d like to know? Disagree with my answers? There’s a wonderful comments section right here on the blog. Put it to work! As a fan of the Milwaukee Brewers, I sometimes need information that is not readily accessible when I’m on the go. More often than I would have thought, that information consists of who wore what jersey number in a given season or something similar. A website that I end up referencing a lot for this info is http://www.baseballalmanac.com but you have to know which season you’re looking for in order to come up with anything concrete. There isn’t a central repository anywhere online that I’ve been able to find. I’m guessing that you haven’t been able to either…until now. Because if you’re on this webpage, you’ve found the repository that you (and I) have yearned for. Below is a link to each individual post with its respective uniform number wearers. This post will be linked on the right-hand side of the page for quick reference, or feel encouraged to bookmark it in your browser and come back often. Lines that don’t function as links are due to that number having never been worn in a regular season game by a Milwaukee Brewer player or manager. All of these pages will be kept up-to-date with Major League comings and goings throughout the rest of time that this blog exists.